Spending a fortune on extravagant wedding décor and accessories is going out of fashion. As the cost of the modern wedding has spiralled upwards in recent years, the focus for couples now is making savings and thankfully, there are loads of ways to do that. While you might think shopping in these types of stores is only for living room or kitchen décor, think again. You can find some great little bargains that make ideal table decorations or centrepieces. If the colour isn’t right, think about using some spray paint or some cheap additions so you can customise them to perfectly fit your theme. 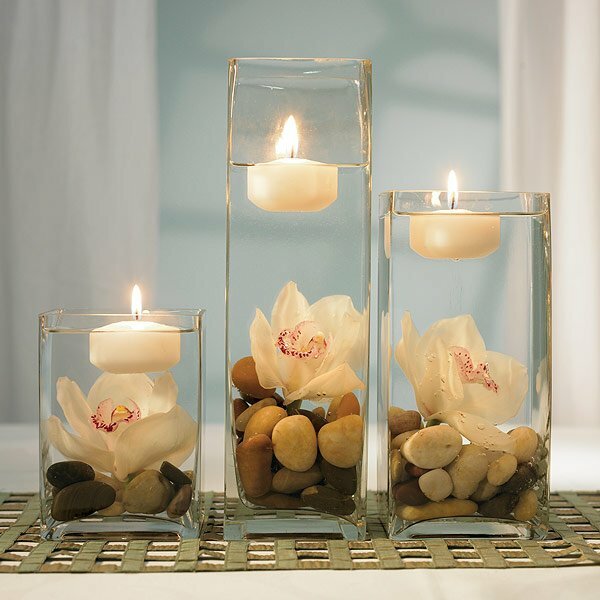 If fresh flowers are out of your budget, artificial flowers can look even more beautiful than the real thing. Whether you want to get crafty and make your own from crepe paper, knitted flowers or fabric or you want to buy them ready-made, they are cheaper, non-staining, non-allergenic and last a lot longer! Why not get your decorations free of charge by taking a walk in the countryside and picking some natural items? Pinecones, leaves, feathers or shells – they are readily available and free. There are tons of ideas for arranging natural items in beautiful ways and if nature is important to you, this could be the ideal theme. Don’t be afraid to get creative and you’ll be amazed at far you can stretch your budget. There are loads of online tutorials that will show you how to make and create all manner of decorations using cheap materials that will look stunning. When you buy a pre-made item, you are paying a considerable mark up for labour costs and by doing the job yourself, you are cutting out those labour costs. DIY doesn’t have to be complex or stressful if you give yourself plenty of time to source materials and make the items. You can even rope in family members and bridesmaids to help you out.